Dr. David Snodgrass is a Spring Hill pediatric dentist who likes to make a point of connecting with parents. Parenthood brings with it many concerns and considerations, says the Spring Hill pediatric dentist, and the more informed parents are, the healthier their kids are likely to be. One common question asked by parents, says the Spring Hill pediatric dentist, regards cavities. 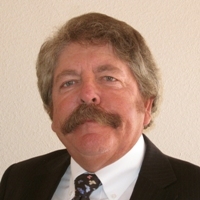 “What is the cause of cavities?” parents ask Dr. David Snodgrass. The Spring Hill pediatric dentist explains that cavities are not caused by one single reason. Cavities are formed because of multiple factors interacting together. During infancy, says the Spring Hill pediatric dentist, cavities are attributed to prolonged bottle-feeding, particularly at bed times. Once kids have gotten past the toddler stage, adds the Spring Hill pediatric dentist, sugar and neglected oral hygiene routines are the major factors that lead to cavities. Sugar is in many foods, points out the Spring Hill pediatric dentist, and sugar intake must be balanced against good brushing and flossing habits. When very young children develop cavities, parents visit the Spring Hill pediatric dentist to find out the best course of action. 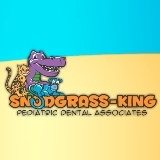 The Snodgrass-King Pediatric Dental Associates in Spring Hill must sometimes treat cavities in kids who still have baby teeth. From time to time, some parents ask the Spring Hill pediatric dentist about porcelain-fused to metal (PFM) crowns. PFM crowns are of very high quality and look quite natural, and the Spring Hill pediatric dentist reports that they are used on patients in many cases. Depending on the extent of the cavity, Spring Hill pediatric dentist Dr. David Snodgrass will determine if it would be better to fill the cavity or to put a crown on the young patient’s tooth. The Spring Hill pediatric dentist also notes that sealants on teeth during regular dental visits are an excellent way to help prevent the development of cavities in his young patients.